Location-Location-Location: A beautiful 2 story vaulted condo in the heart of Lo-Hi. This home was built as a 2-bedroom, currently is only a 1-bed but could easily be converted back. Contemporary open floor plan with large kitchen & great room, 2nd floor master suite, city views from the front, mountain views out the back, front patio area with room to grill and set up a table, beautiful gray wood plank style laminate flooring, granite counters, stainless whirlpool appliances., garage and carport parking spaces, full size stackable laundry units off the master bedroom. You will be blocs away from all the great locations in LoHi: Linger, Little Man Ice Cream, Postino, Avanti Food Hall, LoHi Steak Bar, Recess, Zuni & Prost Breweries, Metropolis, Alehouse. 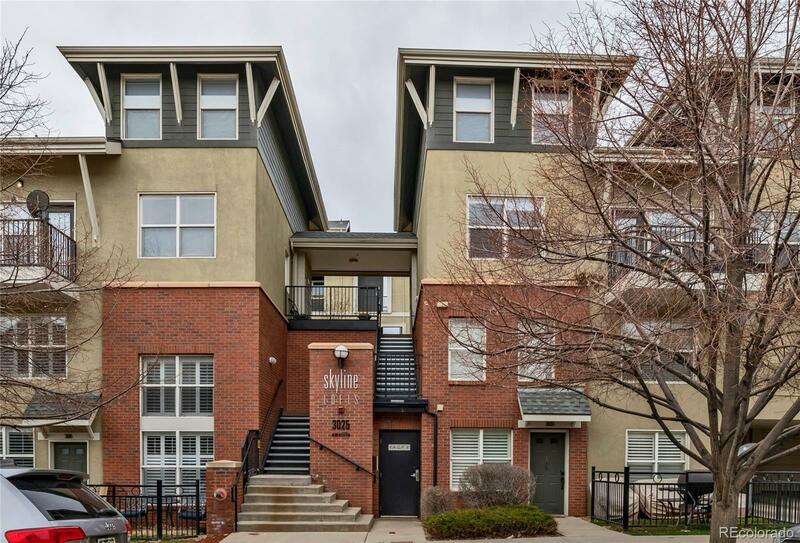 Come experience one of Denver's greatest neighborhoods!